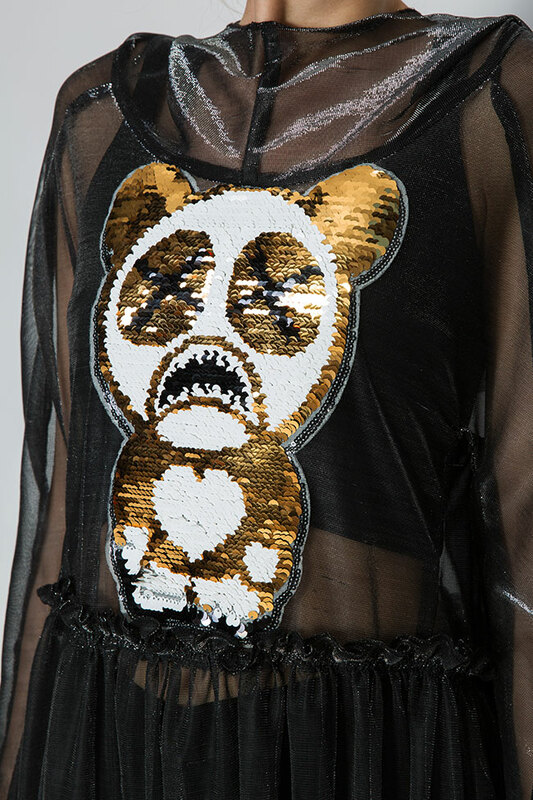 Studio Cabal says that they had the most fun designing for the label's resort collections - it really shows when you look at the playful details they incorporated. 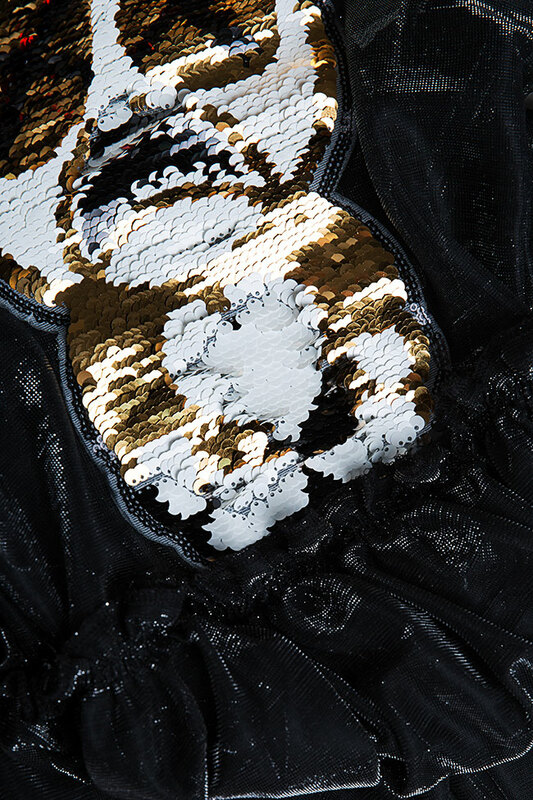 Made from delicate metallic tulle, this midi-length dress is detailed with scores multicolored sequines in a panda bear silhouette. Wear yours over a black swimsuit or layer over the matching dress.